I guess I should have called this post "Acquisition #147: Contact (DS)," and you certainly can think of it that way if you so desire, but I decided to go with the header seen above because, well, I think the truth of the matter is more interesting than saying, "Guess what? I just bought the Euro version of Contact!" As for why I bought the Euro version of this Grasshopper Manufacture-made title: that would be because of its awesome cover art, which can be seen in the first and third photos below. 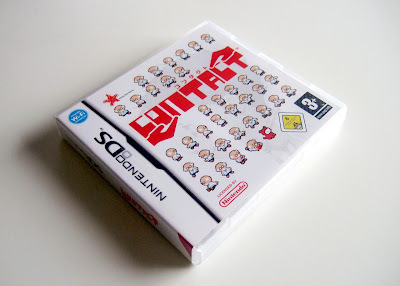 It could go without saying, I'm sure, that I love the adorable little Mother-esque sprites that populate the front of Contact's Euro packaging. I'm also pretty darn fond of its retro-tastic logo, though, which I think gives off an appealingly '70s vibe. The cart art (above) isn't bad either, although I'd like it a lot more if it featured fewer logos. Unfortunately, I have yet to stick this cart into my DS, so I can't tell you if I think the game itself lives up to the promise of its box art. Have any of you played Contact? If so, what did you think of it? That sounds about right, Garry--the "doing missions for the professor" part, I mean. Anyway, hopefully it'll keep my attention longer than it caught yours! I picked up Contact back when all I knew about Earthbound was that it was A Thing I Should Play and saw a resemblance in the graphics. I tried to get into it and made it about as far as Garry before shelving it. Not to say it was bad at all; it was cute and quirky, I just had zero patience for RPGs back then! I did a little research into the games actually and couldn't find any shared credits between the games, so it looks like they were just influenced by the style. While I can't recall much about the gameplay, the setting is definitely unusual for an RPG--no photogenic freedom fighter or chosen one, just a boy and his old man mentor. And a guy with a DS, because the Professor acknowledges you as a person telling the main character what to do, haha. Ah, interesting that it's likely just a case of the folks at Grasshopper being influenced by the Mother games. I really like the sounds of the gameplay, by the way. I know it may end up being a bust in the end, but I'm more than willing to give it a go. Fingers crossed that I actually enjoy it. Oh, and thanks for sharing what you know of the game. I really appreciate it! I love this game! A friend of mine has bought it for me focusing on pixelated cover, hoping that I might like, and I must say that I wasn't disappointed at all! 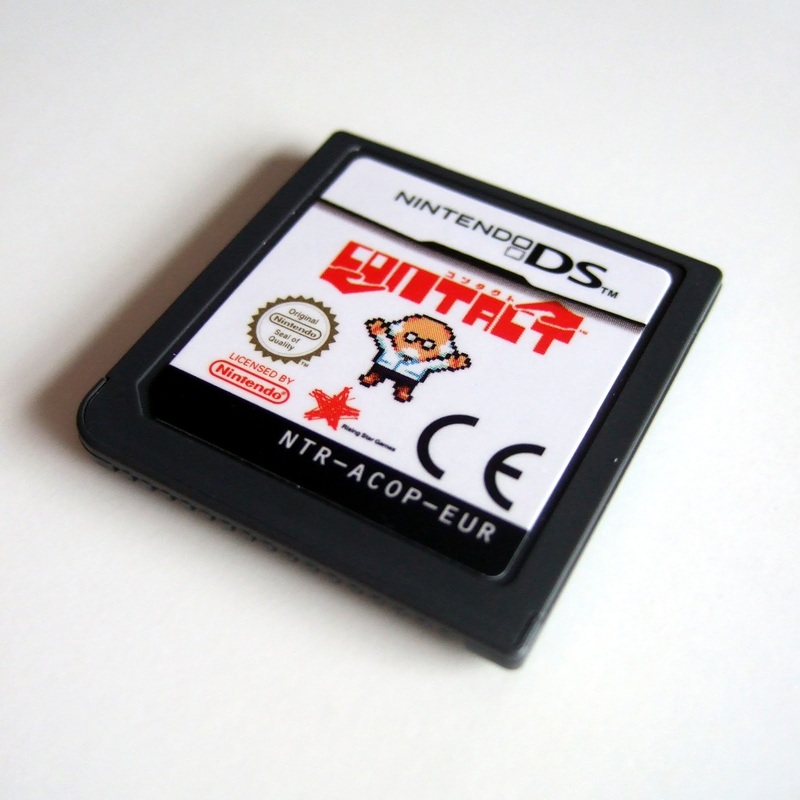 One of the best DS games ever released in my opinion! Sounds like you have some great friends, Pix3l! 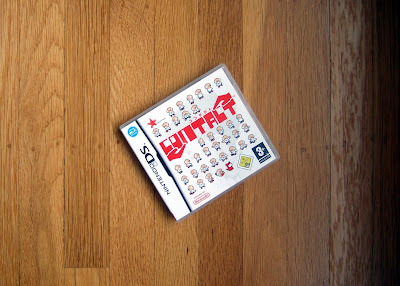 Also, I'm glad to hear you not only enjoyed this game but now consider it one of the best DS games ever released. That's high praise indeed! Tho it was a long time ago, all I remember was initially enjoying the game then reaching some roadblock or realising that maybe I stuffed up a puzzle and maybe there wasn't a way to backtrack or something or I kept dying in combat? Can't remember what it was, but it was one of those things that just made me give up on the game. I think I traded it in years ago. Oh, I understand that, Igor. Sometimes all it takes is for you to get stuck somewhere, or even just frustrated, to put you off a game entirely. I have to say that's kind of what's happened with me and Corpse Party so far. I just got stuck somewhere and absolutely couldn't figure it out, which is what made me walk away from it for the time being. I definitely agree that the European cover is adorable, that's for sure! The Australian one is, funnily enough, not as nice, as I recall. I haven't actually given the game a go myself, but it's definitley something I want to add to my collection someday. Now I have to see what the Australian cover looks like, Anne. I wonder if it's more like the North American cover?